Football fans can start grabbing their foam fingers and prepare for tailgate madness. 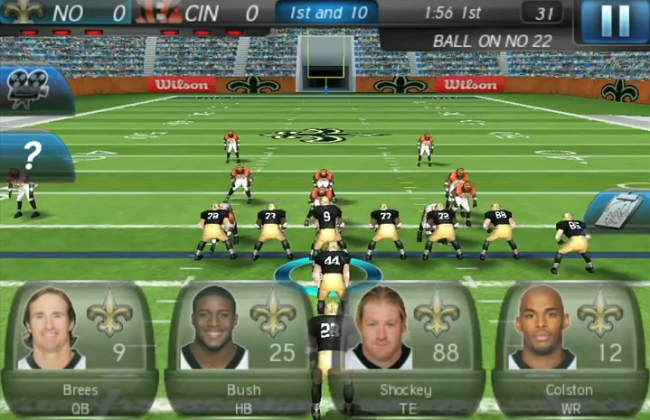 Gameloft is soon to release NFL Pro 2012 for Android devices in the coming month. Choose your favorite team and dominate the rest with real players, actual plays and everything else that makes the NFL the great game that it is. Gameloft has released a full video trailer for the game to get everyone pumped up. For being a mobile game, it looks super solid. Go Niners! As an added note, Gameloft is giving away games for free all weekend long. To receive the games, just follow them on Twitter for the weekend and when they tweet out a link, grab the game for free. Super easy.